This week on the blog I chatted about hoarding license plates and my son’s new car-themed gallery wall. Not to be confused with Cars-themed gallery wall, as in the movie. Although, if you haven’t ridden on the Cars-themed ride at Disney’s California Adventure, you must. It was my favorite ride! But, oh boy, I’m getting off-track. I also wrote about my thrifting adventure to Andover, New Jersey. And, yes! This time I actually made a purchase. On a housekeeping note, I’ve been working on my Shop page on the blog. If I’ve linked something in a post (e.g. children’s books) then slowly but surely I’m adding those links (plus a few things that caught my eye) all in one central location on the shop page. This dress made out of wire is the most clever, whimsical piece of art I’ve seen in quite awhile! I first saw this idea featured on Funky Junk Interiors and had to click over to A Crafty Mix see how it was done. At first I thought I was looking at a printed picture, but no! 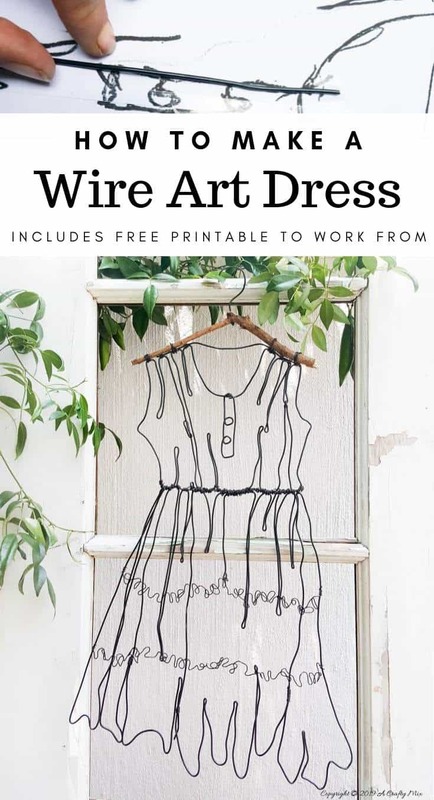 It is truly a wire dress. And now I’m thinking of all the things I could make out of wire. Isn’t the internet grand? We ALL probably think we’re dandelion farmers. I have a lawn FULL of them right now. *sigh* This is a picture of our old house in Georgia, by the way. As it turns out, a certain variety of dandelions have roots that contain latex. We need latex to make rubber for things like tires. Latex usually comes from trees. According to this article in Fast Company, Scientists are trying to grow dandelions indoors. They hope to create a commercially scalable hydroponic growing system that will eventually produce more than a million tons of rubber a year. This is the happiest swimming pool and it makes me smile every time I see this picture! 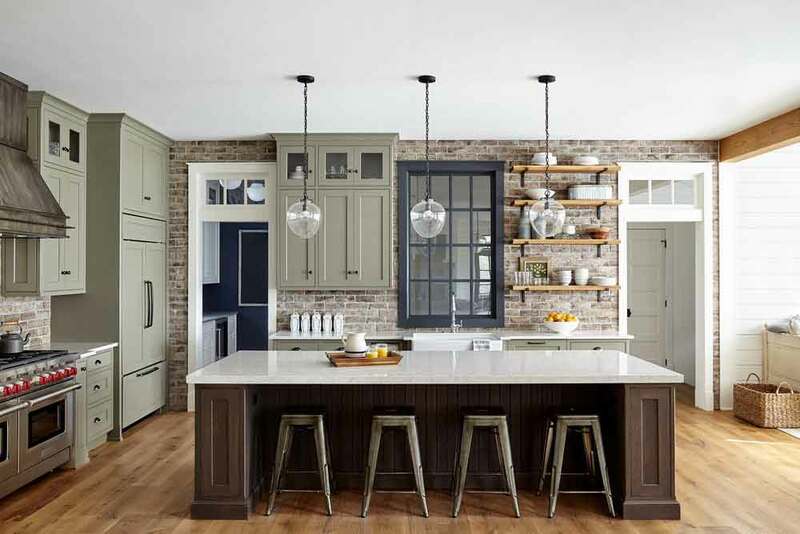 If a modern farmhouse makes your heart swoon, take a look at the portfolio for Lisa Furey Interiors. There is so much to love! This clip is great for multiple reasons. First, I’ve never heard How Great Thou Art played on an electric guitar and it is surprisingly poignant. Second, I love John Mayer’s voice. Third, the Maori kappa haka dance at the end is equal parts intense and captivating. A non-profit organization, Arch Mission Foundation, has sent a library backup of planet Earth to the moon on an Israeli spacecraft. If all goes well, it will land in April. This ‘civilization backup’ contains tens of thousands of fiction and non-fiction books, the English version of Wikipedia, textbooks and a full reference library, among other items. I wonder if they have some of my children’s favorite books on board? I am fully on board with this idea and I appreciate their initiative. I just wonder…if civilization bites the dust will there even be anyone left to get to the moon? This is SUCH A GOOD IDEA. Yes, the capitalization was necessary. That’s how excited I am. 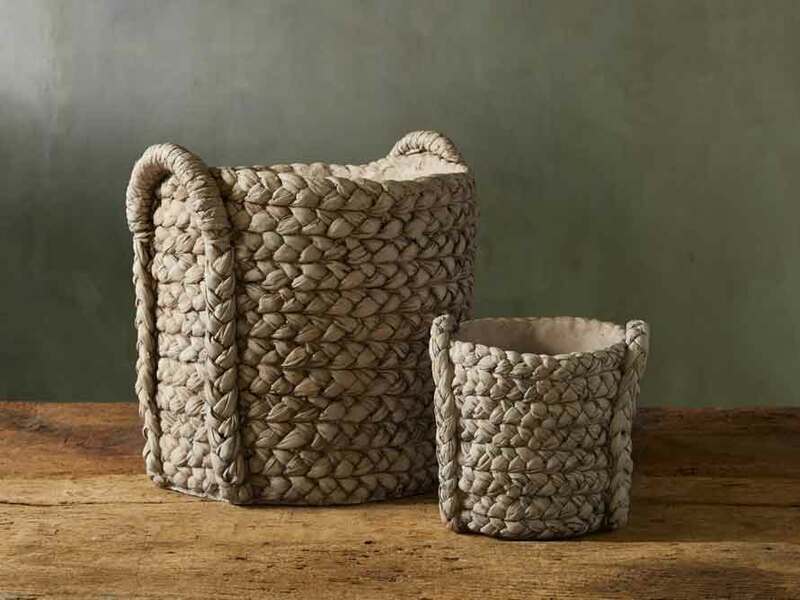 These cement planters that look like baskets from Arhaus would look so good on my deck. Or your deck. Or all the decks of the world. And I didn’t think the price was crazy either, which is saying something since I usually think everything is priced crazy. Happy last Friday of March! That went by quick! Until we meet again, you can definitely find me on Instagram and Pinterest. Sometimes I hang out on Facebook too because I’m looking for deals on Facebook Marketplace. Thanks for all your likes, pins and comments. It makes my day! I love the house you lived in in Georgia. I would love to see the inside. It looks pretty big. Also love those cement baskets. Keep on blogging. You brings such interesting ideas. You’d have to go back to posts from 2015 or 2016 to see more pictures of that house, I think. I never did do a roundup of photos because some of the rooms were never finished.